After more than six weeks on the sideline, Michael Coleman is keen to resume race riding duties at Ellerslie on Saturday. The jockey known as “The King” has been marking time after being admitted to hospital in the first week of February with a blood clot in a leg. Specialists initially thought Coleman would need surgery to clear the clot, but they were able to resort to medication and he was released from hospital after several days. While well enough to indulge in his favourite pass-time, a round of golf, Coleman has had to put his career on hold due to the medications required to deal with the condition, but he was able to resume trackwork duties last week and will ride in several heats at today’s Cambridge trial meeting. Coleman rode his 2,000th New Zealand winner in May 2017 and has added another 94 since. 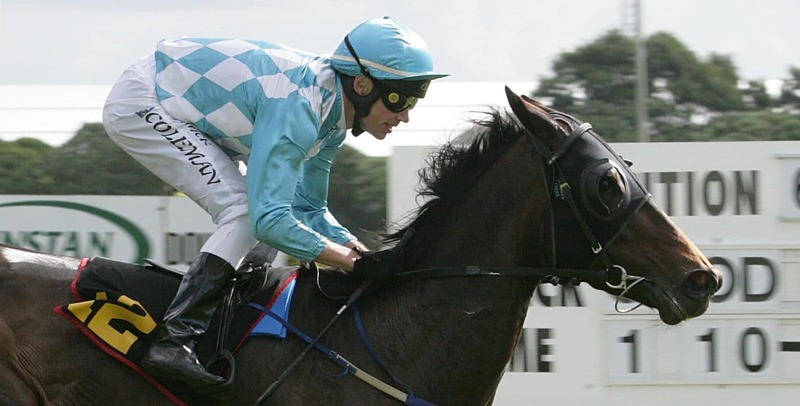 Among his likely mounts at Ellerslie this weekend is the Peter and Dawn Williams-trained filly Media Sensation, who provided his most recent Group One victory in the New Zealand 1000 Guineas at Riccarton in November. Among the winning rides he missed while sidelined were Sponge Bob in the Gr. 2 Waikato Guineas the day after he was hospitalised and that horse’s stablemate Volpe Veloce in Saturday’s Gr. 2 Japan NZ International Trophy.